If any decade could be called "the driving decade" it would definitely be the 1950s. Domestically, it encompassed the Federal-Aid Highway Act of 1956, which saw the federal government pay for thousands of miles of highways, many barreling through cities. In turn, buildings downtown had to be designed and reconfigured for the automobile. One bold example, which was proposed in 1959 and built five years later, was William Tabler's "Motor-Pool Hilton" in San Francisco, which wrapped a hotel around a parking garage; people could drive up the ramp and park right next to their room. But a look at the building disappoints, since the automotive aspect driving the design -- turning it into a hybrid between a hotel and a motor lodge -- is hidden. 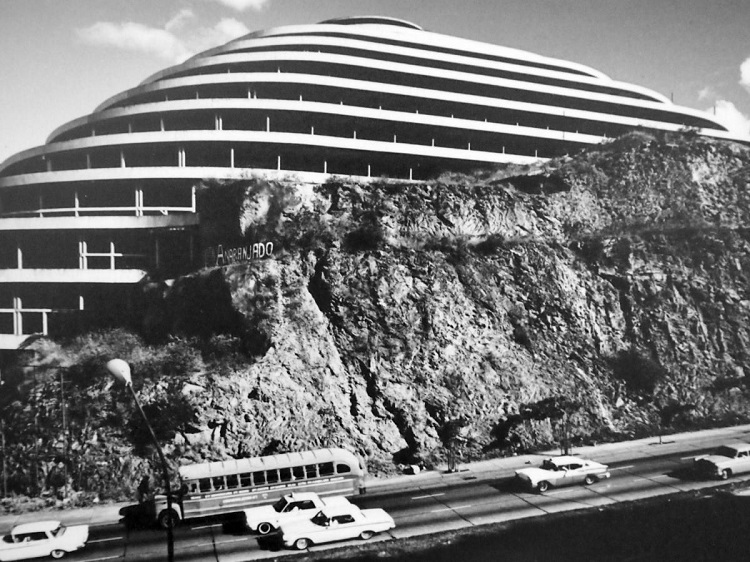 To see a true auto-architecture around the same time, one would have had to travel to Caracas, Venezuela, to see El Helicoide de la Roca Tarpeya, a spiraling mall carved from a hilltop, where shoppers drove up the ramp to the shop they wanted to patronize. I learned about El Helicoide last year when the Center for Architecture displayed the small, one-room exhibition El Helicoide: From Mall to Prison. 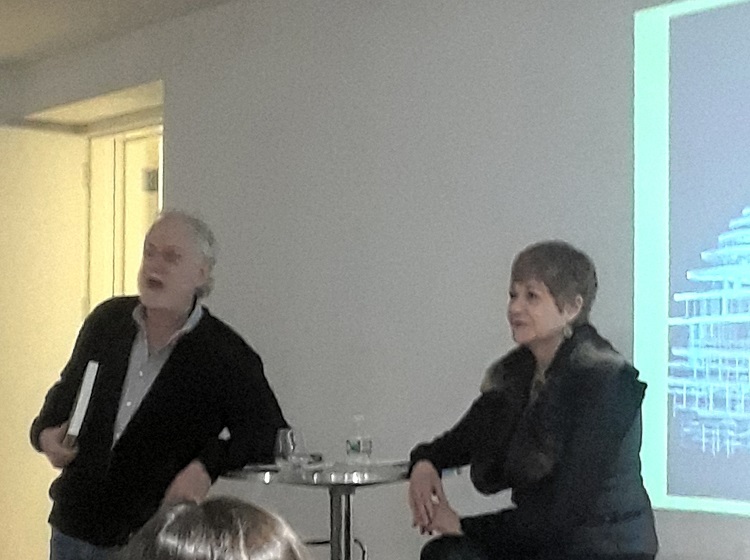 I wrote about the exhibition for World-Architects after attending a tour given by curator Celeste Olalquiaga. My piece traces the evolution of the project designed by Venezuelan architect Jorge Romero Gutiérrez in the late 1950s, so I won't go into too much detail here on the project's history. But suffice to say, what started as an optimistic mixed-use building -- with shops plus offices, a hotel, and a geodesic dome on the roof, all accessed by the system of ramps that made up the project's expression -- turned into its antithesis, a building occupied by the police and used as a prison housing political dissidents. 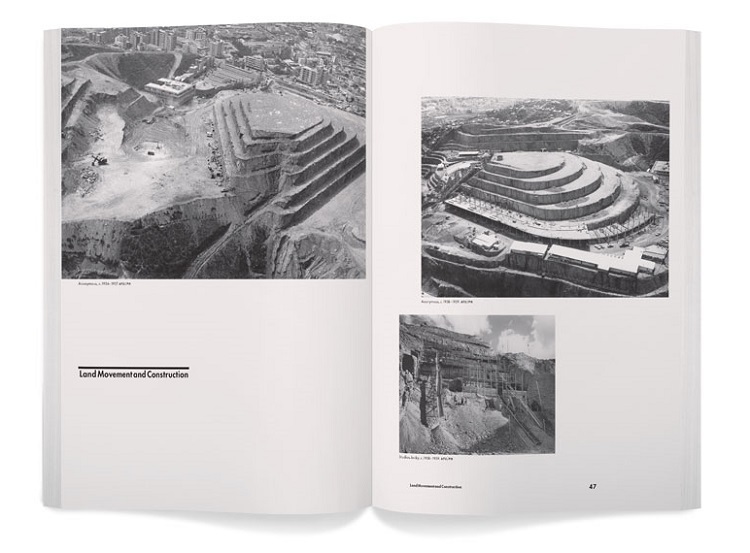 The exhibition and book focus on the gestation of the building -- one of the most unique in the period but also one of the most underappreciated -- as well as its design and the larger context in which it fits, while also exploring how the project devolved in the decades following its near-completion. 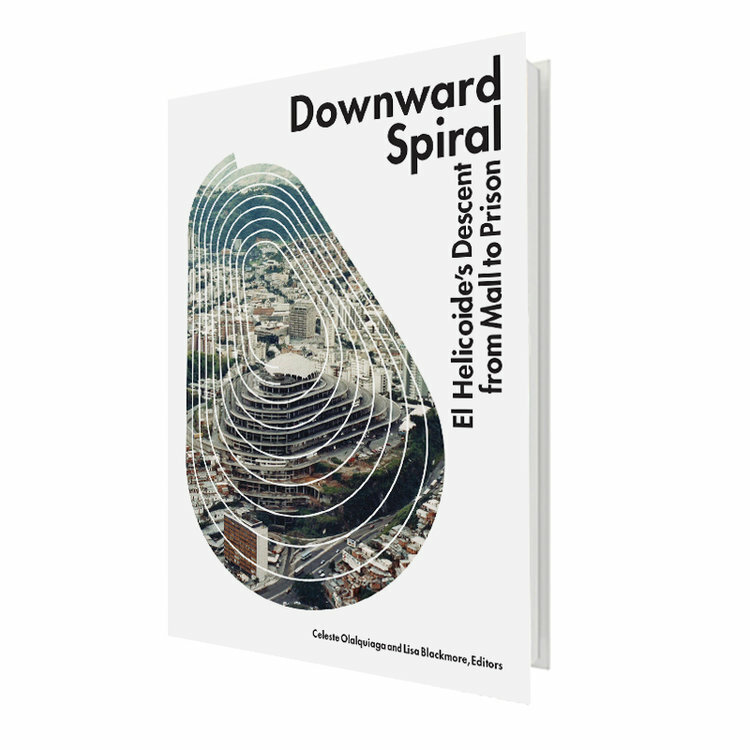 With more than twenty essays in five sections -- Lost in Time, Geometric Detours, Informal Topographies, Cursed Towers, and Living Ruins -- Downward Spiral is the definitive cultural history of El Helicoide. The spiraling building was devoid of such in-depth treatment until Celeste Olalquiaga, Lisa Blackmore and others at Proyecto Helicoide devoted their energies to "promoting the architectural, cultural and social value of El Helicoide ... a global icon of the contradictions of modernity." If the exhibition's period photos, drawings, and other artifacts painted a visual portrait of El Helicoide (thankfully, many of them are published in the book), Downward Spiral enables scholars from Venezuela and elsewhere to provide depth on a building that should be known to a wider audience, both for its architectural ambition and its eventual misappropriation.